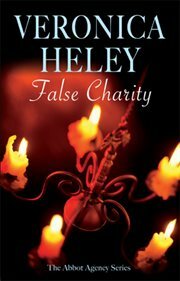 The item False charity, Veronica Heley, (electronic resource) represents a specific, individual, material embodiment of a distinct intellectual or artistic creation found in Richland Library. Newly widowed Bea Abbot must decide what to do with her deceased husband's business, an exclusive organization handling domestic crises. Though Bea is tempted to sell up, she soon begins investigating an accounting irregularity within a catering firm. What Bea doesn't know (but will soon discover) is that someone is way out of control, and finding it all too easy to kill..